Companies that use technology to improve farm production and distribution are attracting investor interest. Way back in 2010, Krishna Kumar, a Bengaluru-based electronics engineer, wanted to start an agri-tech company that would address some of the challenges farmers faced in rural Karnataka. 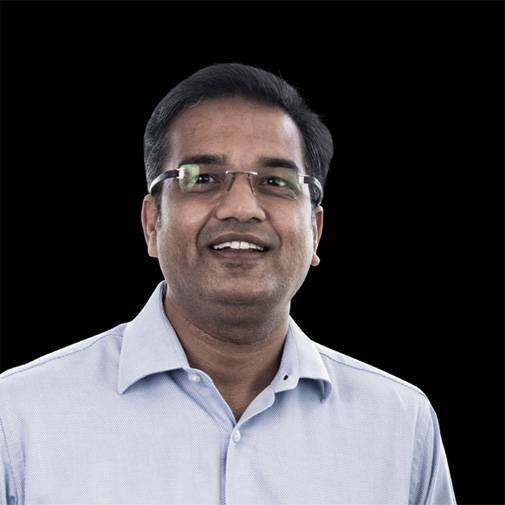 Kumar's aim was to provide a Software-as-a-Service (SaaS) solution for farm digitisation and enable farmers take data-driven decisions on yield prediction, pest control, disease prevention, newer varieties of seeds to maximise production, and others. However, finding funds for his startup, CropIn, was tough. "Most investors didn't think agriculture could become a viable business model, especially if it revolved around technology. There weren't any parallel models," says Kumar. His team also found it difficult to get customers for their first product, SmartFarm, a farm management solution. So, to build credibility, they approached big and small agri-businesses to use and then validate their product, which they then marketed with endorsements. Things started looking up in 2014-15, in part also because of "the digital transformation, smartphone boom and favourable ecosystem that developed for entrepreneurs", notes Kumar. Industry experts say agri-tech companies have a lot of potential in India considering that the country has the second biggest agricultural land mass (140.1 million hectares of net sown area and 198.4 million hectares of gross cropped area, according to the 2017-18 annual report of Department of Agriculture) in the world. Most of the area remains untouched by technology. Tech-driven solutions can help in areas such as pre-sowing plans, enhancing yield, improving nutritional value of land, reducing the input price, farm mechanisation, and improving supply chain and connectivity with customers. "Cost of farming has gone up and climate change is becoming a big concern. So more farmers are shifting from conventional farming to precision farming with the help of various agri-tech solutions," says the spokesperson of a Mohali-based seed potato company. The company uses artificial intelligence-based tools, quality control solutions and software-based grading to categorise and package seeds. Earlier all this was done manually. The new solutions have improved accuracy and reduced the time taken. Industry experts believe that integrating technology allows the next generation of farming to come forth, and help farmers improve yield. "Till now, seasoned farmers were using conventional methods to understand critical issues such as soil type, climate conditions, rainfall, seeds to use, etc.," says Sujay Ojha, Advisor, Weather Risk Management Services, a Delhi-based precision agri-tech company. "However, with the help of digital tools and predictive technologies, a farmer can now improve his knowhow to get increased yield and a better price from the mandi," says Ojha. That's what Sachin Abhor, a 27-year-old farmer from Modi Khera village in Punjab's Ferozepur district, has been doing for two years. He uses apps such as MyFarmInfo, an agri information solution developed by Weather Risk Management, which offers soil analysis, disease diagnosis, and also crop insurance. Abhor cultivates cotton and wheat in his 12-acre farm in different cycles. "The app gives better information on soil quality, fertilising method and climate information. This helps in better decision making. Earlier, we used to harvest 1-2 quintals of wheat per acre. Last year, the yield was 9.6 quintal per acre," says Abhor. Vijay Kumar, a marginal farmer from Haryana's Hisar district, has been able to cut his fertiliser cost and increase production after using a farm management solution. Over the past three years, his fertiliser use has reduced by 30 per cent in his five-acre farm, while wheat production has doubled. "The apps provide customised solutions according to our soil and weather conditions," he says. Industry body Nasscom's recent report Agritech in India-Maxing India Farm Output, states that investments in Indian agritech firms now account for around 10 per cent of the global investments in this segment. With more than 350 start-ups in agritech, India ranks sixth in this space globally. More than 50 per cent of these start-ups were started in 2015-16. Globally, too, agri-tech business is growing. According to Agfunder, a San Francisco-based online venture capital firm that tracks agritech investments, over $3.23 billion was invested in this sector worldwide in 2016. In India, 53 start-ups had raised about $313 million in 2016. By 2017, this had increased to $10.1 billion for agri food-tech start-ups, spanning across 994 deals from 1,487 unique investors, clocking 29 per cent year-over-year growth. Of this, $2.6 billion went into farm-tech alone. What also works in favour of agritech start-ups is the government's aim to double farmers' average income by 2022. "This can't be done without effective use of technology. For agri-startups, this is a trillion dollar opportunity," says Rohtash Mal, Chairman, EM3 Agri Services, which offers farming solutions in Rajasthan, Madhya Pradesh and Uttar Pradesh. Food trends also play a role in the type of opportunities that come up in agri-tech. Reihem Roy, Principal, Omnivore, an impact venture fund that invests in agri-tech, says: "There has been rapid growth in the consumption of vegetables, fruits, sugar, dairy, pulses, meat, fish and eggs. Farmers have to increase production (in these); at the same time it has to be sustainable. Digital transformation is one of the keys to addressing this challenge," says Roy. In the past two years, agritech has gone mainstream. While only impact investors and social venture funds used to show interest in this earlier, now even big VCs see potential. The Agfunder report states that since 2015, India has been an active destination for agritech investments. "Billion-dollar investments are happening in the west. This signals the viability of the sector. In India, we have seen a spurt in the number of agri-tech companies," says Ritu Verma, Co-founder of Ankur Capital, a VC firm that invests in early-stage agri-tech companies. Verma says investment enquiries have also grown manifold in the past two years. "When we first made our investment in agritech in 2013, there were only about three to four enquiries. But last year, we evaluated around 500 players," she says. Ranjith Mukundan, Co-founder of Bangalore-based Stellapps, a dairy supply chain start-up based on Internet of Things (IoT), echoes the sentiment. "Apart from impact investors, we now see more traditional VCs too entering the agri-tech market. What triggered this move was mainly SoftBank's $200 million-investment in the Silicon Valley-based agri-tech firm Plenty, two years back," says Mukundan. "This high-value investment boosted investor confidence in agri-tech." Use of new technologies such as AI, IoT and machine learning is showing results. "This has attracted investor interest," says Vikram Gupta, Founder and Managing Director of venture capital firm IvyCap Ventures, which has invested in two agritech startups, RML Agtech and Farmbee. Agri-tech start-ups can and do provide returns that are on par with many other venture-investable spaces, says Roy. "In 2011, when Omnivore was founded, there were barely any investors looking at agriculture. We are currently getting a dozen requests for investments in a week, which is double of last year," Roy says. More than 70 per cent of Omnivore's total investment falls in the agri-tech sector. "We will focus on companies that help to raise farm yields, reduce farm expenditures, secure better prices for farm outputs, reduce consumption of natural resources, and of course, minimise food wastage and spoilage," says Roy, adding that some of the firms that his company investments in have started receiving returns. In 2017 and 2018, agri-tech witnessed major deals with participation from global investors. For example, Stellapps received $14 million in a series B funding led by Bill and Melinda Gates Foundation and IndusAge Partners. EM3 received series B funding of $10 million from London-based Global Innovation Fund. Bangalore-based Farm Taaza, a fresh produce supply management company, raised $8 million from Hong Kong-based Epsilon Venture Partners. CropIn Technology Solutions has raised Rs 58 crore ($8 million) in a Series B financing from Chiratae Ventures (formerly IDG Ventures India) and the Bill & Melinda Gates Foundation Strategic Investment Fund. VC firm Accel India has invested $10 million in Pune-based Agrostar, an m-commerce start-up that sells agricultural inputs to farmers. Recently, Bangalore-based gourmet meat start-up Licious received Series C funding of $25 million from Bertelsmann India, Vertex Ventures, UCLA and others. In March last year, it raised $10 million in a Series B funding round led by Mayfield Capital. Matrix Partners India, which invested in companies such as Ola last year, backed Gobasco, an agri supply chain company with an undisclosed sum. Also, cold chain logistics firms Tessol, AgricxLabs, Pune-based EarthFood, Bangalore-based Ninjacart, Hyderabad's Khetinext are some other companies that have raised funds. Considering the boom in funds and technology, the sector is geared for strong growth. "Agri-tech start-ups are now focussing on high-end solutions to support the whole agriculture value chain," says Ritesh Dhoot, founder of AgricxLabs, a quality assessment agri-tech company. "From pre-sowing to yielding, assessment, smart devices, procurement and supply chain, we are seeing a lot of competition in the market." Ample funding will, however, continue only if the agri-tech products and services on offer find real use, and the farming community not only adopts these but also reports real benefits. Users seem happy. Abhinav Shah, CEO of Ranchi-based Osam Dairy, says, "Apart from streamlining our day-to-day operations, technology has helped us gain more accuracy and enhanced coordination with our farmers." The company has installed a cloud-based milk procurement system at its 160 collection centres, which helps them enter the daily procurement data real time. "Milk quality is tested and entered into the system in front of the farmers. This has increased transparency and we are now able to pay our farmers on time," he says. Many IoT- and AI-based solutions are helping farmers get real time data and streamline and collaborate operations. For example, Maharashtra-based Sahyadri Farms, a collective of more than 8,000 marginal farmers, is using AI-based solutions (including SmartFarm) to get end-to-end farm traceability (tracking the produce from the field to the buyer, which helps reduce losses). Apart from gaining the trust of suppliers and customers, Sahyadri Farms is also able to improve the management of more than 1,100 acres of farmland it has under it. As most of the farmers have less than one hectare of farmland, earlier, it was difficult for the company to track the produce. Also, when it wanted to export the products, it was difficult to meet the strict compliances norms of exporters. With the new solutions, Sahyadri Farms has become one of the biggest exporters of grapes in India. According to the Nasscom report, more start-ups and funding are around supply-chain management, farm data analytics and infrastructure. "A lot of data is involved in farming. But it also requires standardisation, which will be extremely valuable for farmers. So companies that are dealing with data can be a lot more helpful for farmers," says Gupta of IvyCap. "Also, supply chain companies such as BigBasket reduce wastage and improve efficiency. So any business model that is looking at solving these problems will also be targeted for more investments," he adds. Agri-tech start-ups now have government support too, through schemes such as Aspire. The Department of Agriculture Cooperation and Farmers Welfare, which is under the agriculture ministry, has come out with 12 problem statements. Under each it will partner with one or more start-ups for a potential solution. This includes developing a sensor-based product for soil testing, an assaying and grading solution for local commodity markets, cold storage, and a system to more accurately forecast prices of key commodities such as pulses and oilseeds. Even though the investment scenario has improved, the sector still has much to sort out before it becomes a high-value investment destination. One of the major issues is the longer timeframe for return of investments. "We are trying to change the agriculture industry, which is not at all progressive in terms of technology adoption, is very cost sensitive, and return on investment is comparatively low," says Dhoot of Agricx. A cause of concern here is that India does not have big corporates investing in agriculture sector, unlike western countries. "You won't get a nice curve like what an e-commerce (start-up gives) in a year or two. 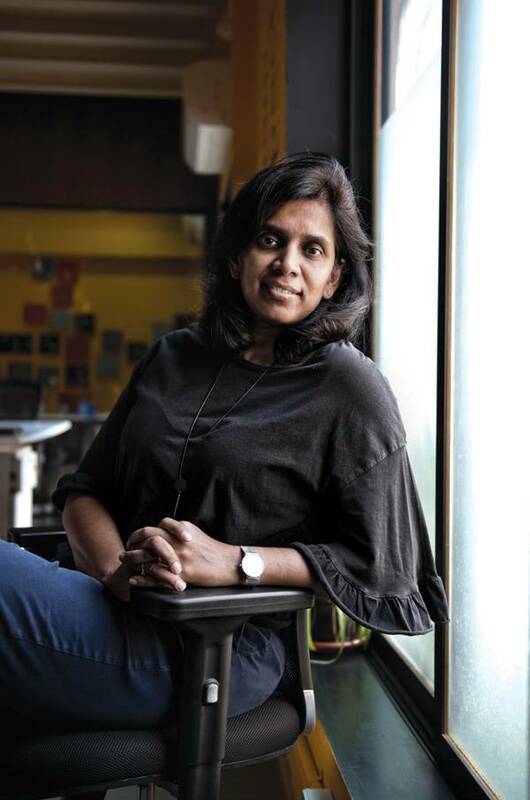 The sector needs a lot of hand-holding and support from the government to become scalable," says Sangeeta Gupta, Senior Vice-President and Chief Strategy Officer, Nasscom, whose incubator centre has till now assisted about 25 agri-tech start-ups. The sector also has a web of policy regulations to negotiate, which hampers sustainable funding. Agriculture attracts political intervention as well. "Anything that directly touches farmers will get a lot of political attention, which will hinder growth," says Gupta. There is also no tried and tested model for agri-tech start-ups to follow. Most global solutions are unlikely to work in India as the agriculture-related factors here are very different from the global experience. For example, more than 67 per cent of India's farmland is held by marginal farmers (holdings below one hectare), according to Agriculture Census 2015-16. "It's difficult to get investment since many mainstream investors don't understand agriculture," says Mal of EM3. Another challenge is farmers' reluctance to use technology. Many agri-businesses too are yet to let go of traditional practices and switch to higher efficiency using technology. "In India, majority of agri enterprises are sceptical about digitisation. Also, a common misconception is that an app is only to track them and evaluate their performance," says Kumar of CropIn. 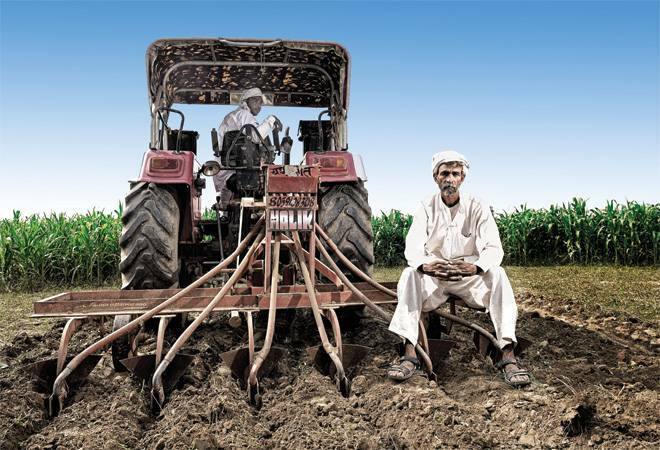 Other issues such as poor internet connectivity and rural literacy hamper agri-tech's expansion. Industry experts observe that many of the existing solutions work only at certain levels. For example, one of the challenges is ensuring farm-to-fork traceability of produce, especially if exporting. Therefore, the next level of innovation will be in end-to-end solutions that integrate all the existing solutions. "When most of the other sectors saturate over time, agri-tech might becomes more lucrative for investors and more high-value deals will happen," foresees Dhoot. This will lead to agri-tech businesses evolving the way consumer centric sectors have, and where the customer will have the power to ensure better services. Electoral bonds: What's the controversy?